We implement the best cloud-based financial software to provide a solid foundation for your business growth and accounting services to cover tax submissions as well as advice on financial queries relevant to your business. We also provide a range of valuation, budgeting, gap analysis and investment readiness services to assist with raising additional financing for your business. Creative CFO is a growth platform that helps SMEs focus on strategy and revenue generation whilst making sure their fiduciary affairs are in order. Management accountant with a big love for the systems needed to run a business. Project manager focussing on the operations of internal processes and external projects. Enjoys the great outdoors and a good laugh. Realm delights in gaining insight into the operations of different entities in order to offer value-added solutions for business owners. Dane is passionate about using technology to create growth in companies and understanding the bigger picture. His hobbies include chess and weekly park runs. Chartered Management Accountant (CGMA) who loves the bigger picture and enjoys seeing how hard work and plans come together! She completed her SAIPA articles at Certified Master Accountants and holds a degree in BCom Financial Accounting from Stellenbosch University and the designation of Professional Accountant (SA). Passionate about numbers and problem-solving. Loves adding value to businesses. 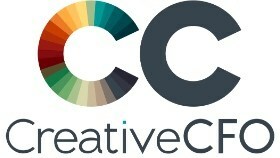 Financial Manager at Creative CFO. Champion reverse parker. Shannon graduated with a BCom in Financial Management with distinctions. She joined the Creative CFO team in January 2017 and heads up the secretarial department on top of being an accountant. Pierre completed his CIMA and SAIPA training. He has a pragmatic approach to business and enjoys a logical view of everyday activities. Kudzaishe was previously an Audit Supervisor for RSM. She enjoys working on a wide variety of accounting and tax issues and is looking forward to helping SME’s. Stellenbosch University graduate with a BCom Law degree, currently working towards becoming a Chartered Management Accountant. I am a keen golfer and runner and enjoy my time with friends and family. As a Junior Accountant at Creative CFO I am continuously developing my passion for finance and the strategic aspects of Financial Management in pursuit of obtaining my CGMA designation through CIMA. Clients of Creative CFO (Pty) Ltd connect to a range of banks via Xero. Creative CFO (Pty) Ltd specialises in working with some of those banks; they can help with setting up bank feeds, and are knowledgeable about accessing bank loans and streamlining payments through Xero. Creative CFO (Pty) Ltd works with businesses across a range of industries. They specialise in helping to choose apps that integrate with Xero to boost business performance for some of those industries. Creative CFO (Pty) Ltd serves clients who use 27 different apps that connect and integrate with Xero. Xero is beautiful online accounting software for smaller businesses. Creative CFO (Pty) Ltd can help make your switch as smooth as possible.